I have been fortunate to continuously be invited & featured on Twitter chats, podcast, vlogs and blog write-ups. 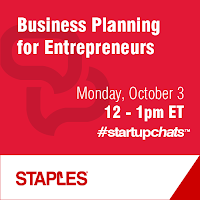 In October 2016 I was invited by Startup Canada & Staples to be on a expert panel for business plan. The twitter chat helped online entrepreneurs ask questions and get answers about developing their business plan and business planning in general. 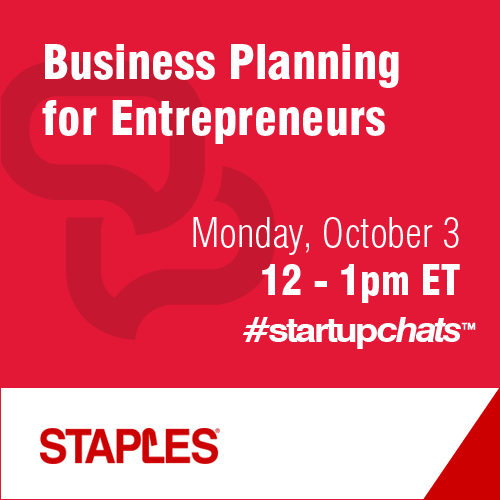 You can find the recap for the #StartupChats about Business Planning for Entrepreneurs here. In another Twitter chat experience, I was asked to moderate the discussion about SEO, short for Search Engine Optimization. The chat held by Julia McCoy, founder of Express Writers, explained the fundamentals of doing SEO the RIGHT WAY! If you search Connecticut Business Plan Writer, you will see how I've been working on my SEO for NicholasCoriano.com. You can see the full recap of the Twitter chat, "Fundamentals of Doing SEO the RIGHT Way" here. Later in the year I also was fortunate enough to connect with MadalynSklar, a social media marketing maven. 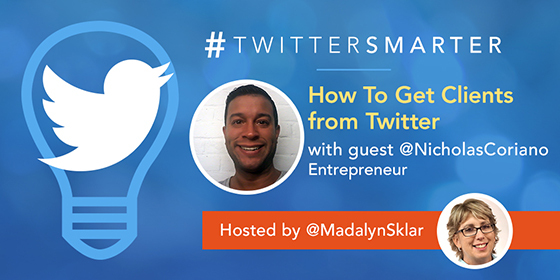 On that chat, I explained how businesses can get clients online; more specifically Twitter. The full recap of "How to Get Clients From Twitter" can be found here. In addition, I've done a few podcast along the way. First up was my feature on The Land Geek, Mark Podolsky's podcast. Here I went in depth on how I great my real estate holding company at @Homeskape. The podcast review can be founder here "How To Manage Multiple Businesses & Do Rewarding Work" and the actual audio can be found on ITunes (posted 9/22/2016). Other notable podcasts appearances include my showing on Capitalism.com's podcast heard here: "How A Self Made Man Diversifies His Investments", talking whop with Alaska Tracey on the BizVision podcast here and my interview with Annie Jennings on the PR podcast "An Entrepreneur's Best Friend".